NEW DELHI -- Increasingly aware of the scope of plastic pollution, governments in more than 60 countries have introduced levies and bans to combat single-use plastic waste, according to U.N. Environment, an agency of the United Nations. 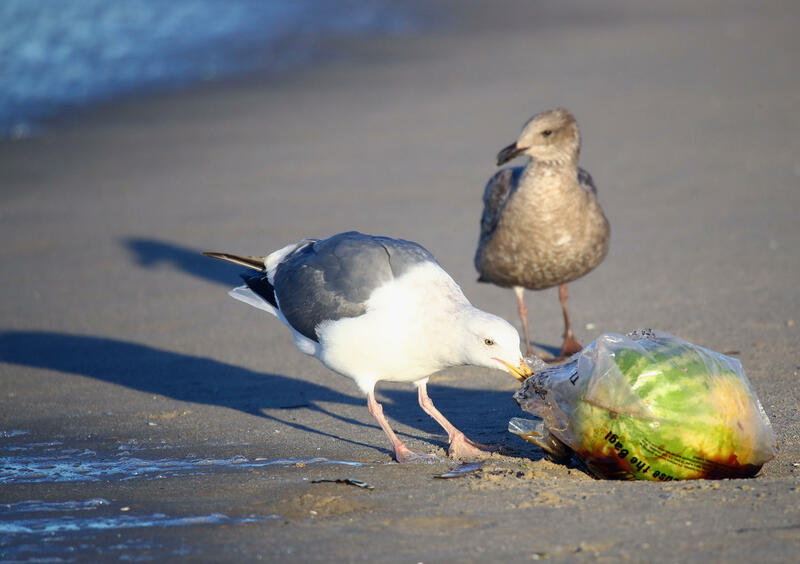 "A growing number of governments are taking action and demonstrating that all nations, whether rich or poor, can become global environmental leaders," Erik Solheim, the agency's head, said in a report released Tuesday about sustainable solutions to single-use plastics. With its release timed for U.N. World Environment Day, the report noted that rules limiting the use of plastic bags had decreased their use in places such as Morocco, Rwanda and parts of China, sometimes significantly. "Rwanda, a pioneer in banning single-use plastic bags, is now one of the cleanest nations on earth," Solheim said in the report. But elsewhere, things haven't gone so well. Poor follow-through has left many such bans ineffective. In New Delhi, for instance, a ban on disposable plastics has had only limited impact "because of poor enforcement," the report said. The city has tried repeatedly over the past decade to ban the use of thin plastic bags, most recently announcing a heavy fine for rule-breakers. But the bags remain ubiquitous across the city, blowing in the wind, piled in ditches and readily offered in hundreds of thousands of shops. Elsewhere in India, including the states of Sikkim and Himachal Pradesh, there have been better results. Solheim praised India, which is hosting this year's Environment Day, for its growing focus on environmental protection. But he also noted that while traveling in the country he'd seen "some of the most beautiful scenic places, but destroyed by plastic pollution." In its report, the U.N. made a series of recommendations to make plastics bans more effective, from encouraging more cooperation from businesses to improving waste management practices to offering incentives. Governments must finance more development and research of alternative materials, as well as raise awareness among consumers, among other actions, the report said. By some estimates, as many as 5 trillion plastic bags are used worldwide every year, the report noted. "To meet the rising tide of plastics, we urgently need strong government leadership and intervention," it added. Solheim said, however, that plastic -- which has saved "countless lives" in the health sector and revolutionized safe food storage -- isn't the problem. "It's what we do with it," he said. "And that means the onus is on us to be far smarter in how we use this miracle material."